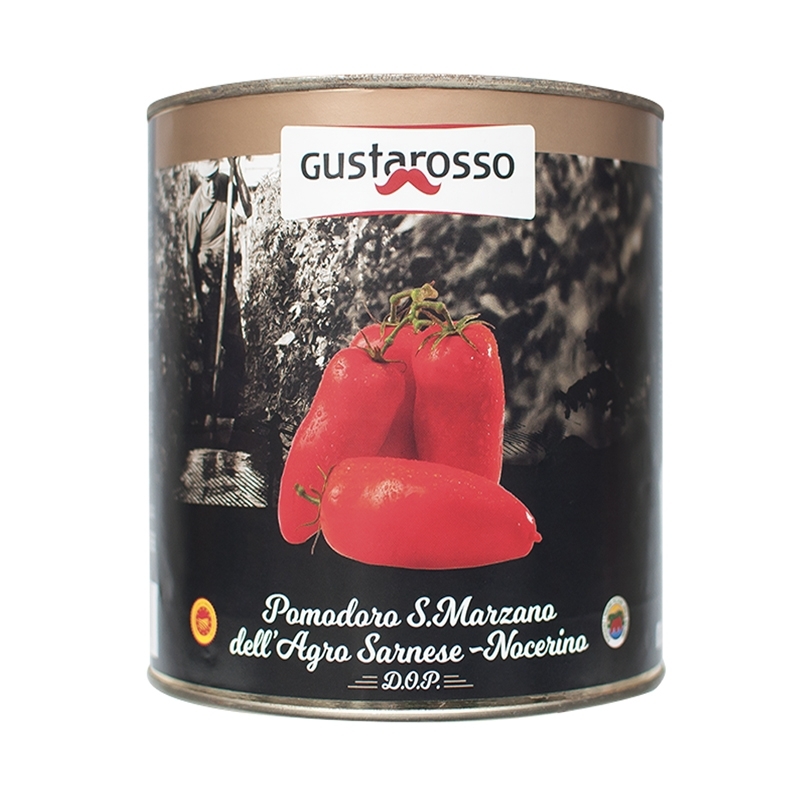 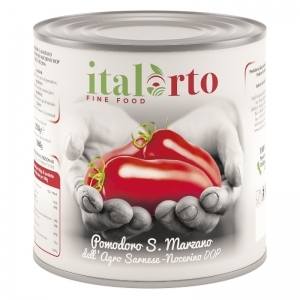 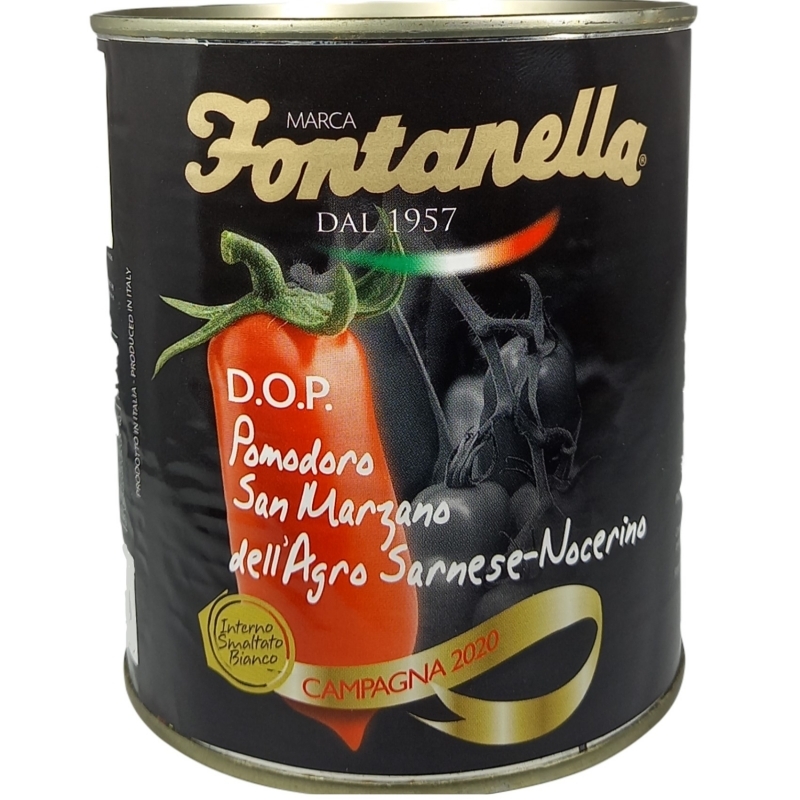 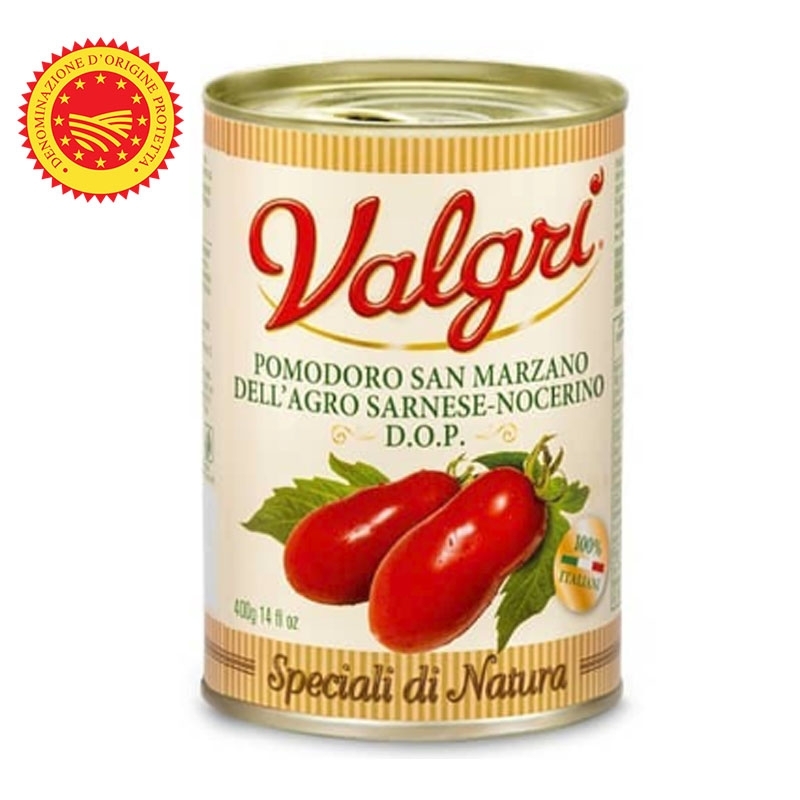 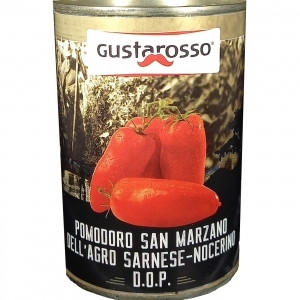 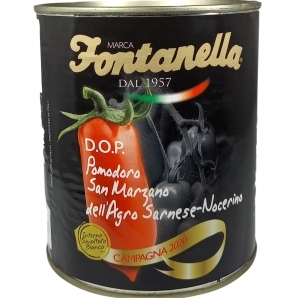 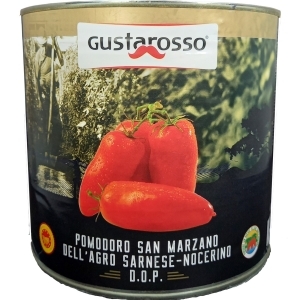 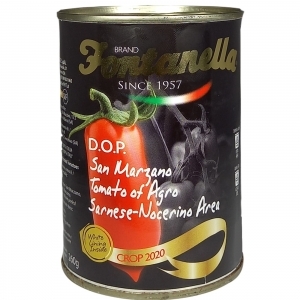 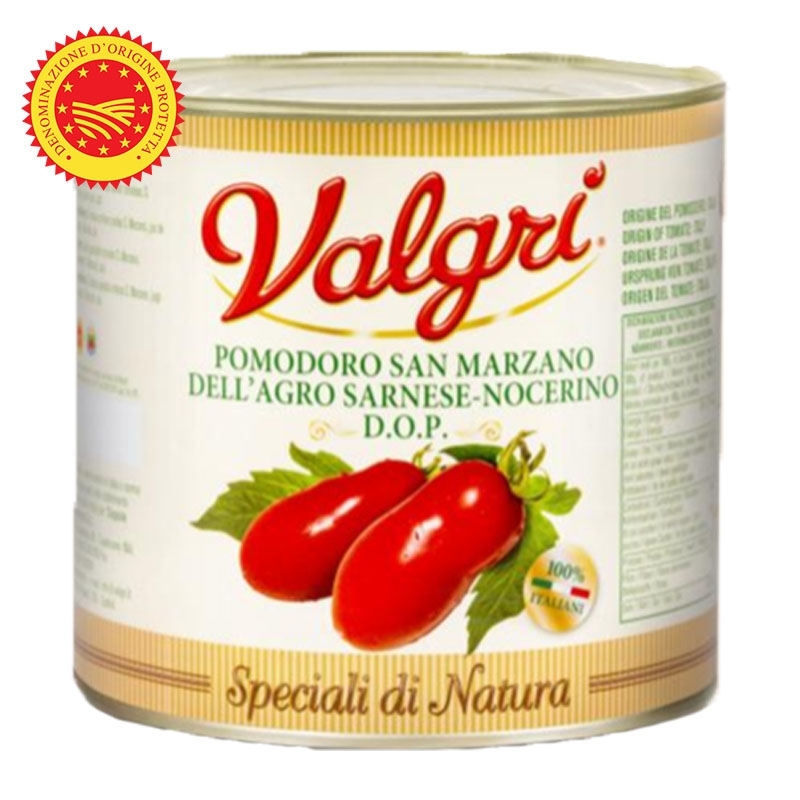 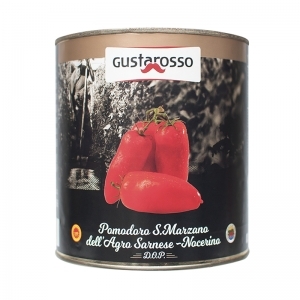 Variety of San Marzano PDO, the elongated tomato and the unmistakable sweet and sour taste. 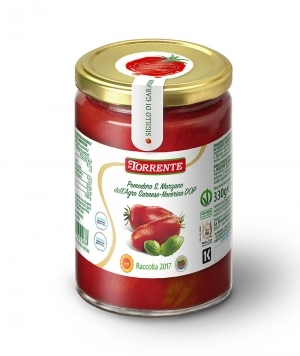 With an intense red color and a unique and inimitable consistency that does not shatter during processing, it guarantees high quality peeled tomatoes. 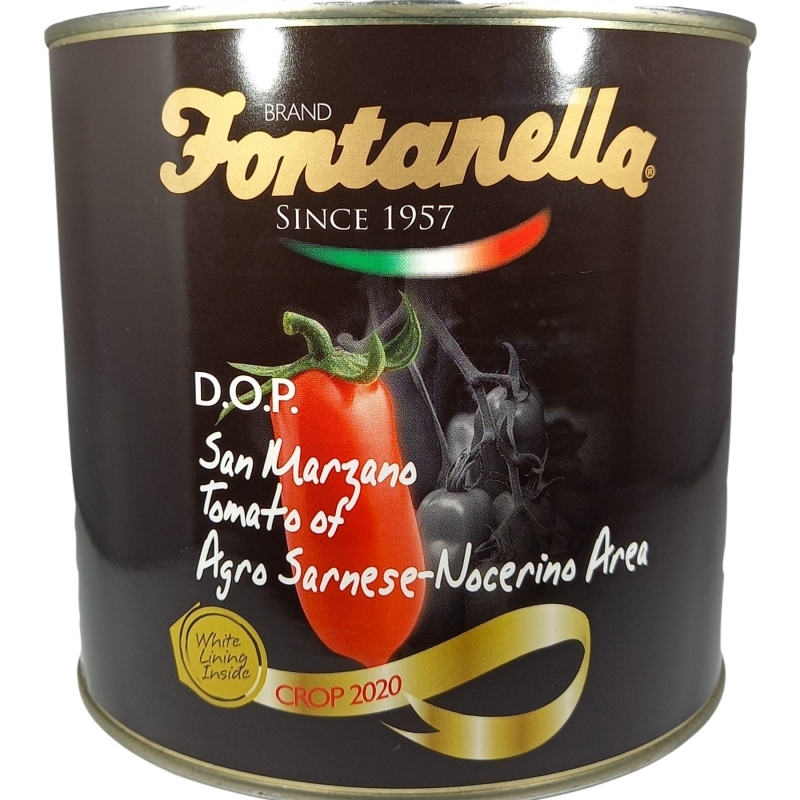 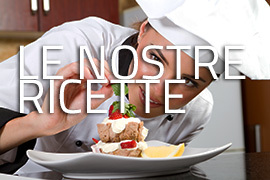 San Marzano tomatoes grow only in Agro Nocerino-Sarnese, where only the best fruits are selected and selected with care, when they have reached the perfect ripening level and processed fresh, to guarantee the fresh and intense taste of freshly picked tomatoes. 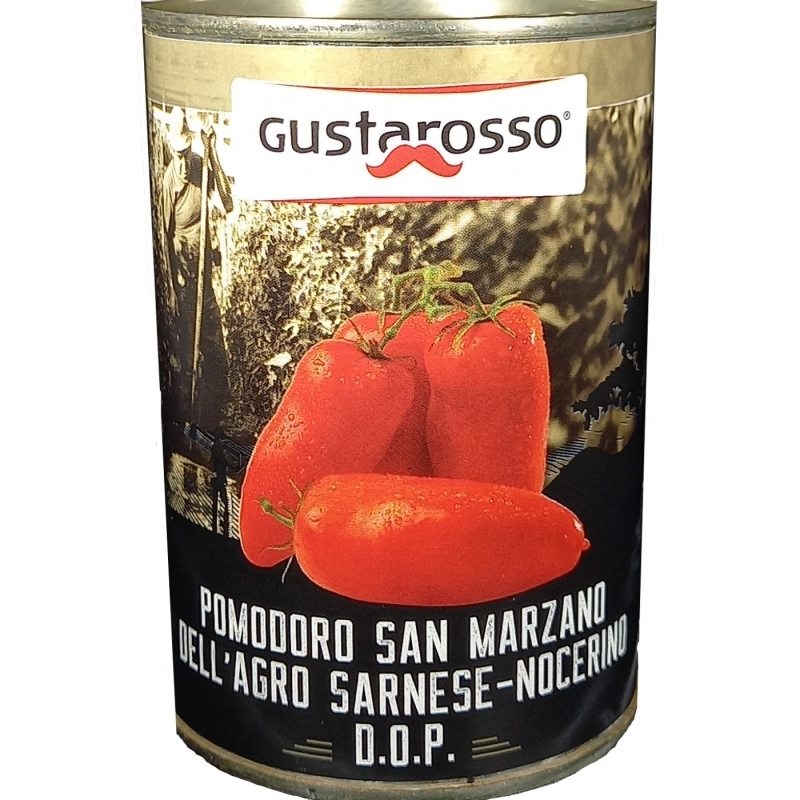 San Marzano DOP, the excellence of tomatoes.